The Arbitration and Conciliation Act 1996 (Arbitration Act) ushered in a new era for arbitration law in India. It adopted the UNCITRAL Model Law on International Commercial Arbitration 1985 (Model Law) to align Indian arbitration practice with internationally acceptable standards and practices. 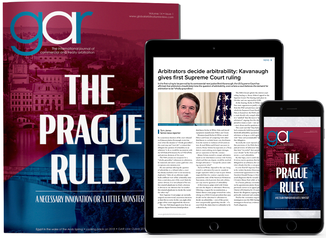 The Arbitration Act held sway for nearly two decades. While it had its drawbacks, with the aid of cautious and purposive judicial interpretation, the Arbitration Act was able to meet practical exigencies. Nevertheless, given the limitations associated with law evolved through judicial interpretation, there was a pressing need to fill the gaps and, wherever necessary, to clarify the law on arbitration through legislative intervention. In such circumstances, the Arbitration and Conciliation (Amendment) Act 2015 (Amendment Act) was introduced to fill the lacunae and clarify ambiguities in the Arbitration Act. While the Arbitration Act continues to govern the law of arbitration in India, it does so in an amended form. Efficacy, expediency and economy were the watchwords for the Amendment Act, which sought, among other things, to address the problems of enforcing awards in India, time consuming arbitral and court-related proceedings, and consequently, the ever burgeoning costs associated with such proceedings. The problems associated with Indian arbitration caused India great embarrassment in the global arbitration community. With unbridled support of the Indian judiciary, the Amendment Act (now in its third year) has, slowly but surely, projected India as an arbitration-friendly jurisdiction. In the first half of the present chapter, we review the critical developments on the law of arbitration in India, which are primarily a consequence of the Amendment Act; in the second half of this chapter we briefly discuss the emerging issues and the way forward for the law of arbitration in India. For an unbiased decision, it is but obvious that no man should be a judge in his own cause. While the foregoing is a recognised principle of natural justice and followed in India, nonetheless, the practice of appointing ex-employees as arbitrators has for long been prevalent in India. When this practice was brought to the attention of courts, they frowned upon it as such practice cast justifiable doubts about a tribunal’s ability to adjudicate impartially. To ensure that awards rendered an unbiased view of the dispute, the Amendment Act inserted schedule 5 and schedule 7 in the Arbitration Act; these schedules incorporate International Bar Association Guidelines relating to independence and impartiality of arbitrators in the Arbitration Act. These newly inserted standards for independence and impartiality of arbitrators have been zealously upheld by the Indian judiciary. To eliminate bias, the Supreme Court expanded the scope of schedule 5 to the amended Arbitration Act (which disallows a party’s employee to act as an arbitrator) by holding that if the person named as an arbitrator was ineligible to act as an arbitrator (in this case by reason of his being a managing director of the party), then such a person would also be ineligible for nominating another arbitrator.1 On another occasion, to ensure constitution of fair and unbiased tribunal, the court went to great lengths to note that ‘. . . panel should be broad based . . . engineers of prominence and high repute from private sector should also be included. Likewise panel should comprise of persons with legal background . . . as it is not necessary that all disputes that arise, would be of technical nature . . .’.2 On yet another occasion the court noted that an arbitrator, who was in contravention of clauses 22 and 24 of schedule 5 to the amended Arbitration Act, would be de jure disqualified under section 14(1)(a) from continuing with his mandate and therefore, the court terminated his mandate. All these instances clearly reflect the judiciary’s painstaking efforts to ensure appointment of impartial arbitrators. Prior to the Amendment Act, litigants were unsure about efficacy of interim relief obtained from a tribunal because the tribunals’ powers to grant interim reliefs were restricted in scope and its enforcement shrouded in ambiguity. To ensure that interim relief granted by a tribunal was an efficacious remedy, the Amendment Act aligned the tribunals’ powers to with that of the courts and made interim relief granted by tribunal enforceable as an order of the court under the provisions of the Code of Civil Procedure, 1908 (the Code). Following the Amendment Act coming into effect, the Supreme Court extended its pro-arbitration to issues which had arisen in relation to arbitrations prior to the Amendment Act. This is exemplified by the Supreme Court’s decision in Alka Chandewar,5 wherein the court enforced the interim directions passed by the tribunal, noting that party’s failure to comply with tribunal’s interim order amounted to a contempt of tribunal’s order. This view encourages parties to arbitrations initiated prior to the Amendment Act, ie, 23 October 2015, to approach tribunals for interim relief being rest assured that such interim orders are enforceable. In order to balance the requirement of minimal intervention of court in arbitration with easy accessibility to courts for efficacious remedies, section 9 (3) of the amended Arbitration Act dissuades courts from entertaining application for interim relief after tribunals have been constituted unless, it finds that circumstances exist in which interim relief granted by tribunal may be inefficacious. Explaining the fine balance, the Calcutta High Court6 clarified that under section 9(3) the court’s power is not automatically barred by constitution of an arbitral tribunal and that the court may grant relief if it finds that the relief given by the tribunal will be inefficacious. However, the High Court noted that in the event the tribunal assumes powers in circumstances under sections 337 and 34,8 an application for interim relief will have to be made to the tribunal (provided such relief will be efficacious). To put to rest the controversy created by the decisions of the Supreme Court in Bhatia International9 and BALCO,10 the Amendment Act introduced provisions under which parties to an international commercial arbitration seated outside India are allowed to approach courts in India for interim reliefs. This amendment, has far-reaching consequence as it allows foreign parties or foreign award holders to secure their interests pending grant or enforcement of an award. The usefulness of the amendment is illustrated by a recent decision of the Bombay High Court wherein the High Court secured sums due under a foreign award which was pending enforcement. In relation to proviso to section 2(2) of the amended Arbitration Act, the High Court noted that recourse to Indian courts for interim measures in relation to a foreign seated arbitration is a transitory provision, pending enforcement of the foreign award.11 The Bombay High Court’s recent ruling, that an application for interim relief in relation to a foreign award can be made to a court which enjoys jurisdiction over the assets of the judgment debtor,12 spares users the unnecessary dilemma of deciding which court to approach, ie, a court which enjoys jurisdiction over subject matter of arbitration or a court which enjoys jurisdiction over subject matter of the award. To reduce judicial intervention with an award, whether granted in a domestic or a foreign seated arbitration, extensive amendments pertaining to a challenge against an award were introduced in the Arbitration Act. The amendments in this context are a welcome change. The Indian judiciary has strictly implemented the amended provisions, refusing applications seeking to stall enforcement of awards for the mere asking. Repeatedly, the courts have clarified that in proceedings wherein an award is challenged, the courts do not sit in appeal over it, thereby limiting courts’ interference with an award. When called upon to decide the validity of two-tiered arbitration in context of the Arbitration Act, the Supreme Court upheld parties’ autonomy to provide for a two-tiered arbitration.13 In the instant case the validity of appellate arbitration was challenged on the grounds, inter alia, that two-tiered arbitration was not in accordance with the Arbitration Act and was against public policy. Rejecting the foregoing grounds, the Supreme Court noted that in providing for two-tiered arbitration, the parties had not by-passed any provision of the Arbitration Act. The court further noted that the argument that appeal is a creature of statute will not apply in the present case as there is a distinction between a statutory appeal to a court and an appeal to a non-statutory body agreed between the parties. Prior to the Amendment Act, initiation of challenge proceedings automatically led to stay on execution of a domestic award. Such a practice was hitherto used to disrupt the execution of an award for an award holder. By expressly prohibiting such automatic stay on execution proceeding, the amendments provided the much-needed relief to an award holder who can now proceed to execute an award, unless the execution proceeding is expressly stayed. Clarifying and expediting the process for execution of an award, the Supreme Court ruled that an award may be executed directly by the court having territorial jurisdiction over the award-debtor’s assets.14 Thus, the court did away with ubiquitous practice of requesting transfer of execution proceedings initiated before a court enjoying supervisory jurisdiction over the arbitration to another court. This decision not only clarifies the procedure for execution but puts to rest the continuous debate about whether execution proceedings had to be first initiated before a court having jurisdiction over the arbitration proceedings and then transferred to the court where the assets of the judgment debtor were located, or whether the execution proceedings could be directly initiated before the court which enjoys jurisdiction over the assets of the judgment-debtor. International arbitration practice has primarily been seat-centric. Having adopted the Model Law, India too followed the seat centric principles in arbitration. The Supreme Court in BALCO18 recognised that the seat was the centre for international arbitration and held that Indian courts would have no jurisdiction over any arbitration seated outside India. This has been reiterated by the courts time and again, with the Bombay High Court even imposing costs of 500,000 rupees on the party which sought to challenge an award (granted in an arbitration seated in New York) before the court.19 The Bombay High Court reiterated that Part 1 of the Arbitration Act did not apply to arbitrations seated outside India. Recently, the Supreme Court clarified the importance of seat in the context of domestic arbitrations; it held that the seat of arbitration was akin to an exclusive jurisdiction clause20 and as a consequence, a choice of an Indian city as the seat or place of arbitration would confer exclusive jurisdiction on the courts of such city. Thus, an application challenging the award will lie to courts of the city named as the seat of arbitration. However, in a recent ruling, in view of a full and final settlement existing between the parties, the Supreme Court while deciding an application for appointment of an arbitrator, refused to refer the matter to arbitration on the grounds that for a reference to arbitration a dispute needed to exist. Although, the Amendment Act with support of the Indian judiciary has made great strides in clarifying and aligning, the law of arbitration in India with international arbitral standards and practices, there remain grey areas of law which have escaped the attention of or remain unaddressed by both, the legislature and the judiciary. A question which has repeatedly reared its head, is whether two Indian parties can choose a foreign seat for an arbitration. While deciding this question in the context of the erstwhile Arbitration Act 1940,25 the Supreme Court held that two Indian parties were free to opt for a foreign-seated arbitration. However, the position of law under the Arbitration Act, with the amended provisions, remains unclear. Though the Bombay High Court27 expressed its view that such a proposition could be considered as opposed to public policy of India, the Madhya Pradesh High Court, following the Supreme Court’s decision under the erstwhile Arbitration Act 1940, took a view contrary to the view taken by the Bombay High Court.28 While the decision of the Madhya Pradesh High Court was appealed to the Supreme Court, this particular question remained unaddressed. The Amendment Act provides grounds which raise justifiable doubts and render a party’s nominee ineligible to act as an arbitrator. Nonetheless, it fails to put an end to the practice of unilateral appointment of arbitrators by a party to an arbitration agreement. A recent decision,29 wherein the Delhi High Court allowed a contractually agreed appointing authority who was one of the party’s representative to unilaterally appoint an arbitrator, brings to light that a prevalence of the practice of unilateral appointment may stall the legislature’s efforts to achieve cent percent appointments of impartial and independent arbitrators. Emergency arbitrators are commonly provided in rules of almost all international arbitral institutes, eg, the Singapore International Arbitration Centre, the International Chamber of Commerce, and domestic arbitral institutes, eg, the Mumbai Centre for International Arbitration. Given the lengths to which the legislature and the judiciary have gone to ensure that interim measures in arbitrations are meaningful, it is difficult to understand why opportunity to recognise emergency arbitrators has been missed. This failure is especially baffling given that the legislature has adopted a proactive approach towards institutional arbitration. While courts have, in relation to foreign-seated arbitrations, granted interim reliefs under the Arbitration Act in Raffles Design30 and Avitel,31 the courts to date have ruled that a suit has to be filed for seeking enforcement of such awards rendered by emergency arbitrator.32 Given the ambiguity in law about the status of relief granted by an emergency arbitrator and the procedure to enforce the same, parties ought to be careful in agreeing to arbitral rules which do not provide an opt-out mechanism from the provisions relating to emergency arbitrators. A high-level committee under the chairmanship of Honourable Justice B N Srikrishna, Supreme Court of India, was constituted by the Central Government to review the state of Indian arbitration pursuant to the Amendment Act. The said committee submitted its report on 30 July 2017. On the basis of the suggestions in the report, the Arbitration and Conciliation (Amendment) Bill 2018 (Amendment Bill) was issued. The Amendment Bill has been approved by the Union Cabinet, but awaits the approval of both the houses of the Parliament. Among the various changes suggested, the Amendment Bill lays emphasis on institutional arbitration vis-à-vis ad hoc arbitration, and seeks to address practical difficulties faced in the applicability and implementation of the Amendment Act. While the text of the Amendment Bill is not available, if press reports are to be believed, the Amendment Bill intends to bring further clarity to the law of arbitration in India. Great efforts have been made by both the judiciary and the legislature to encourage institutional arbitration for settlement of disputes. facilitating appointment of arbitrators through designated arbitral institutions by the Supreme Court or High Courts, without having any requirement to approach the courts in this regard, etc. The foregoing efforts have been bolstered by the judiciary – the Supreme Court on a previous occasion (for the very first time) directed the MCIA to appoint an arbitrator in an international commercial dispute. Therefore, the court delegated its power of appointment of arbitrator to an ‘institution designated by such Court’. Further, various High Courts have keenly promoted institutional arbitrations. This is exemplified by the establishment of the Delhi International Arbitration Centre under the aegis of the Delhi High Court and by the recent announcement of the Punjab and Haryana High Court to launch an International Arbitration Centre in Gurugram, Haryana. A question that has arisen since the enforcement of the Amendment Act is whether arbitration-related proceedings that were initiated prior to the Amendment Act but were pending at the time of its coming into effect, ie, on 23 October 2015, are regulated by the provisions of the Amendment Act. The ambiguity about applicability of the Amendment Act to proceedings pending when the Amendment Act was brought in force, arose primarily due to the terminology of section 26 of the Amendment Act which reads ‘. . . but this Act shall apply in relation to arbitral proceedings commenced on or after the date of commencement of this Act’. Interestingly, the Amendment Bill which was approved prior to the Supreme Court’s decision takes a contrary view; section 87 of the Amendment Bill provides that the Amendment Act will not apply to court proceedings arising out of or in relation to arbitral proceedings which commenced prior to Amendment Act and the same is irrespective of when such court proceedings commenced, ie, whether prior to or after the Amendment Act. In the said circumstances, in its ruling the Supreme Court has drawn the legislature’s attention to section 87 of the Amendment Bill. It remains to be seen whether the Amendment Bill will be aligned with the Supreme Court’s ruling. The Amendment Act brought the much-awaited and much-needed overhaul to the Arbitration Act. The apprehensions about the efficacy and expediency of arbitrations in India is a matter of the past; both the said words are the cornerstones for the amended Arbitration Act. Viewed fairly, the Amendment Act is a colossal step which allows India its rightful place amongst leaders of the global arbitration community. While its implementation continues to face hiccups, the Amendment Act has done a commendable job in filling in the gaps between the law in India and the developments in the international arbitral community. Being a jurisdiction which follows the doctrine of stare decisis, judicial interpretation has vastly contributed to the development of Indian law and jurisprudence. Therefore, the role of the Indian judiciary in ensuring India moves ahead as an arbitration friendly jurisdiction cannot go unnoticed. In the regime prior to the Amendment Act, the Indian judiciary played a crucial role in pinpointing and providing the required clarity to the inadequacies in law. In the regime after the Amendment Act (which sought to address the inadequacies in law) the Indian judiciary by adopting both, the spirit and the letter of the Amendment Act, fervently continues implementing the objectives and the letter of the Indian arbitration law. While we note that the law of arbitration in India is still work in progress, the state of arbitration in India has unquestionably turned over a new leaf. 1 TRF Ltd v Energo Engineering Projects Ltd, 2017 (8) SCC 377. 2 Voestalpine Schienen GmBH v Delhi Metro Rail Corporation, 2017 (4) SCC 665. 3 NTPC Ltd v Jindal ITF Ltd & Ors, 2017 SCC OnLine Del 11219; Delhi State Industrial & Infrastructure v PNC Delhi Industrial Infra Pvt Ltd, ARB. A. (COMM.) 17/2017, Delhi High Court; Lanco Infrastructure Ltd v Hindustan Construction Co Ltd, 2016 SCC OnLine Del 5365; Enercon GmbH & Ors v Yogesh Mehra & Ors, 2017 SCC OnLine Bom 1744. 4 Shakti International Pvt Ltd v Excel Metal Processors Pvt Ltd, 2017 SCC OnLine Bom 321. 5 Alka Chandewar v Shamshul Ishrar Khan, 2017 SCC OnLine SC 758. 6 Bishnu Kumar Yadav v ML Soni & Sons & Ors, AIR 2016 Cal 47. 7 33. Correction and interpretation of award; additional award. 9 Bhatia International v Bulk Trading SA, (2002) 4 SCC 105. 10 Bharat Aluminum Co v Kaiser Aluminum Technical Services Inc, (2012) 9 SCC 552. 11 Aircon Beibars FZE v Heligo Charters Pvt Ltd, 2017 SCC Online Bom 631. 12 Trammo DMCC (formerly Known as Transammonia DMCC) v Nagarjuna Fertilizers & Chemicals Ltd, 2017 SCC OnLine Bom 8676. 13 Centrotrade Minerals and Metals Inc v Hindustan Copper Ltd, (2017) 2 SCC 228. 14 Sundaram Finance Limited v Abdul Samad, 2018 SCC OnLine SC 121. 15 Punjab State Civil Supplies Corporation Ltd v Atwal Rice and General Mills, (2017) 8 SCC 116. 16 Cruz City 1 Mauritius Holdings v Unitech Ltd, 2017 SCC OnLine Del 7810. 17 NTT Docomo Inc v Tata Sons Ltd, 2017 SCC OnLine Del 8078. 18 Supra at note 10. 19 Katra Holdings Ltd v Corsair Investments LLC & Ors, (2017) SCC OnLine Bom 8480. 20 Indus Mobile Distribution Pvt Ltd v Datawind Innovations Pvt Ltd & Ors, AIR 2017 SC 2105. 21 Inox Wind Ltd v Thermocables Ltd, (2018) 2 SCC 519. 22 Section 11 (6A): ‘The Supreme Court or, as the case may be, the High Court, while considering any application under sub-section (4) or sub-section (5) or sub-section (6), shall, notwithstanding any judgment, decree or order of any Court, confine to the examination of the existence of an arbitration agreement.’ Arbitration and Conciliation Act, 1996 : Section 11 - Appointment of arbitrators. 23 M/s Duro Felguera SA v M/s Gangavaram Port Ltd, (2017) 9 SCC 729. 24 GMR Energy Limited v Doosan Power Systems India Pvt Ltd, 2017 SCC Online Del 11625. 25 Atlas Export Industries v Kotak & Company, (1999) 7 SCC 61. 26 TDM Infrastructure Pvt Ltd v UE Development India Pvt Ltd, (2008) 14 SCC 271. 27 Addhar Mercantile Pvt Ltd v Shree Jagdamba Agrico Exports Pvt Ltd, 2015 SCC OnLine Bom 7752. 28 Sasan Power Ltd v North America Coal Corporation India Pvt Ltd, 2015 SCC OnLine MP 7417. 29 DK Gupta & Anr v Renu Munjal, 2017 SCC OnLine Del 12385. 30 Raffles Design International India Pvt Ltd v Educomp Professional Education Ltd, 2016 SCC OnLine Del 5521. 31 Avitel Post Studios Ltd v HSBC PI Holdings (Mauritius) Ltd, 2014 SCC OnLine Bom 929. 32 Supra at note 30. 33 Government Resolution No. Misc. – 2016/C. No.20/D-19, 13 October 2016. 34 Government Resolution No. ARB/C.No.01/2017/D-19, 28 February 2017 read with Government Resolution No. Misc-2016/C.No.20/D-19, 01 December 2016 and Government Resolution, 4 March 2017. 35 Board of Control for Cricket in India v Kochi Cricket Pvt Ltd and Ors, 15 March 2018, Civil Appeal Nos. 2789-2880 of 2018 (arising out of SLP (C) Nos. 19545-19546 of 2016). Economic Laws Practice (ELP) is a leading full-service Indian law firm established in 2001 by eminent lawyers from diverse fields. The firm brings to the table a unique combination of professionals comprising lawyers, chartered accountants, financial planners, economists and company secretaries; enabling us to offer services with a seamless cross-practice experience and top-of-the-line expertise to our clients. ELP has a unique position among law firms in India for offering comprehensive services across the entire spectrum of transactional, advisory, litigation, regulatory and tax matters. Our areas of expertise include banking and finance; competition law and policy; corporate and commercial; hospitality; infrastructure; international trade and customs; litigation and dispute resolution; private equity and venture capital; securities laws and capital markets; tax; and telecommunications, media and technology. With six offices across India (Mumbai, New Delhi, Pune, Ahmedabad, Bangalore and Chennai), ELP has a team of over 180 qualified professionals with acumen in diverse practice areas. We work closely with leading global law firms in the UK, the US, the Middle East and the Asia-Pacific region. This gives us the ability to provide a pan-India and global service offering to our clients. Our commitment is to develop and nurture long-term relationships with our clients by providing the most optimal solutions in a practical, qualitative and cost-efficient manner. Our in-depth expertise, immediate availability, geographic reach, transparent approach and the involvement of our partners in all assignments has made us the firm of choice for our clients. ELP’s market-leading litigation and dispute resolution practice is built on the strength of a team that is not only at the cutting edge of legal knowledge and research skills, but has also mastered the art of advocacy. Each team member is acknowledged to consistently deliver results. The team prides itself on diversity and depth of experience and represents clients across fora and practice areas from inquiry and investigation stages right up to the Supreme Court of India, playing a dual role of solicitor and counsel, which sets us apart from other practices in India. ELP is recognised internationally as a thought leader in India for arbitration. We have represented clients in proceedings before various institutions – such as the International Chamber of Commerce, the London Court of International Arbitration (LCIA), LCIA India, the Singapore International Arbitration Centre, the London Maritime Arbitrators Association and the Grain and Feed Trade Association, the Kuala Lumpur Regional Centre for Arbitration – and in ad hoc proceedings around the world, with the amount in disputes ranging from a few million to billions of dollars. Our approach to commercial disputes has ensured the most effective representation of our clients as often these disputes require industry-specific know-how. ELP offers its expertise in various sectors such as energy, construction, international trade, government contracts, admiralty, insurance and product liability. We also take pride in offering cost-effective services to our clients in less sizeable disputes by efficient staffing. The firm has been recognised as one of the top specialist arbitration firms in the world by GAR 100 (ninth and tenth edition) and as Dispute Resolution Law Firm of the Year in India Business Law Journal’s Indian Law Firm Awards 2015. ELP’s dispute resolution practice has also been ranked in the Top Tier by The Legal 500 Asia-Pacific 2016–2018.